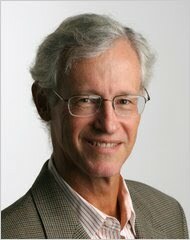 the nytpicker: Wondering When Arthur Brisbane, NYT's New Public Editor, Will Debut? Well, Guess What -- He Already Did. Hype, exaggeration, simplification and plain misstatements of fact are why so many scientists despair of having their research written up in a newspaper. They increasingly sacrifice their reticence, however, because there is so much pressure these days on them to reap publicity for their work in order ot attract more grants and money. That's how investors like it, that how pharma likes it, that's how biotech likes it: academic researchers doing the dirty leg work funded by the public, and lured into superstardom a penny and a journalistic lap dance at a time to jump to conclusions and write juiced up glitz. Now they're setting up Brisbane to be the fall guy. the topic of absolutes seems better suited to the standards editor than to the public editor, i think. The article was obsessed with curing Alzheimers Too bad the article didn't concentrate on toxins that cause Alzheimers. Does the author of the article have a personal involvement with Alzheimer's that might cloud her impartiality? It's so very nice of the nytpicker to agree with Mr.Brisbane's first criticism. I hope he is comforted to know that he got it right. Why could you not have just told the story without injecting your opinion on it? The arrogance does not flatter you.